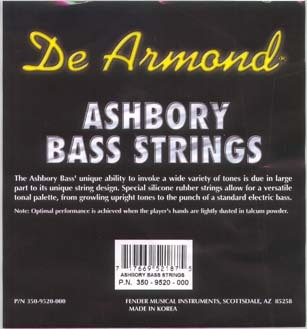 Fender dropped the DeArmond name from Ashbory Basses beginning in late 2002. 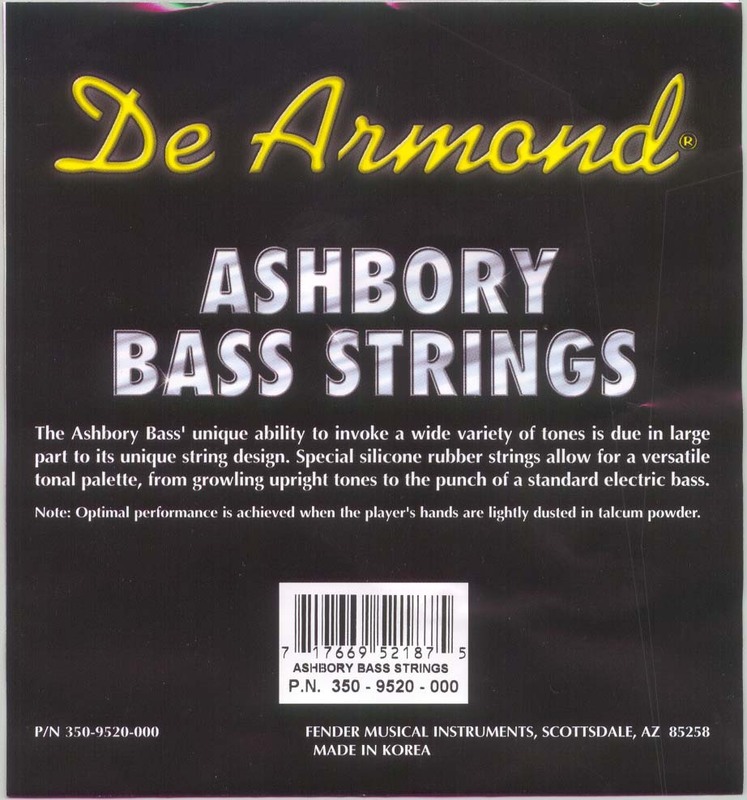 The strings also moved over to an "Ashbory" branded design in the same timeframe. 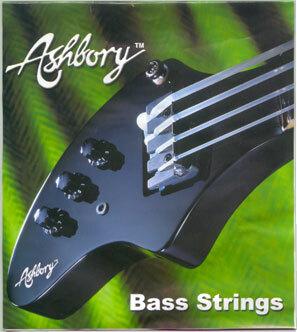 The Ashbory Bass' unique ability to invoke a wide variety of tones is due in large part to its unique string design. 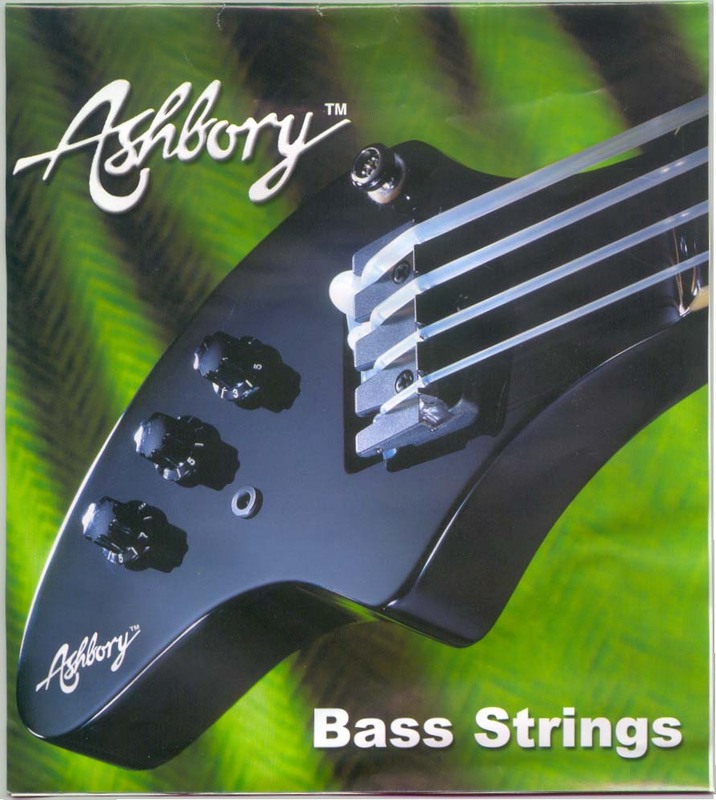 Special silicone rubber strings allow for a versitile tonal palette, from growling upright tones to the punch of a standard electric bass. This set is from late 2002. 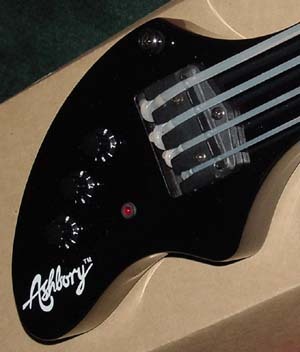 This set is from early 2003. Notice the bass is in the same pose as the DeArmond Bass, but has a very small Ashbory logo. 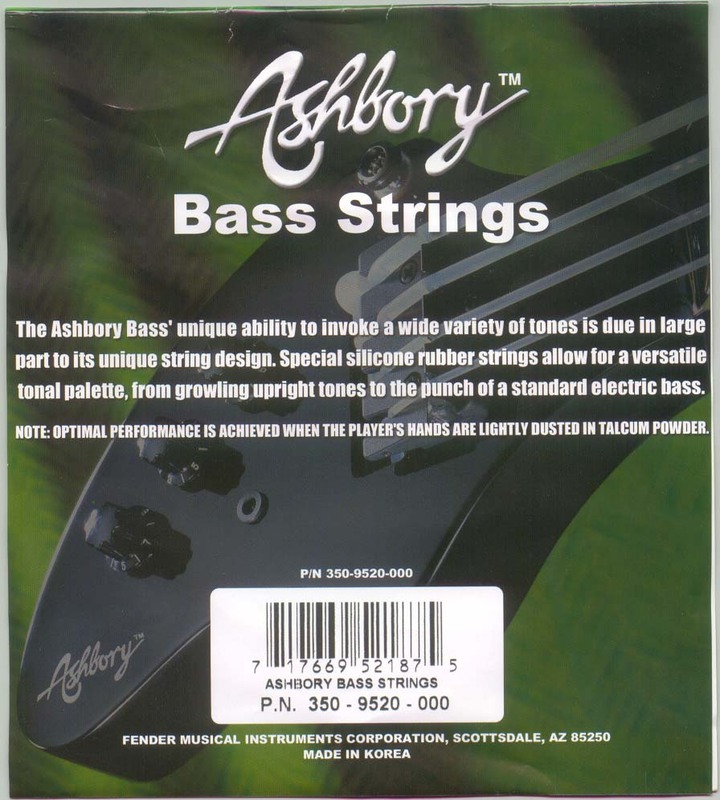 Notice the size difference of the logo. 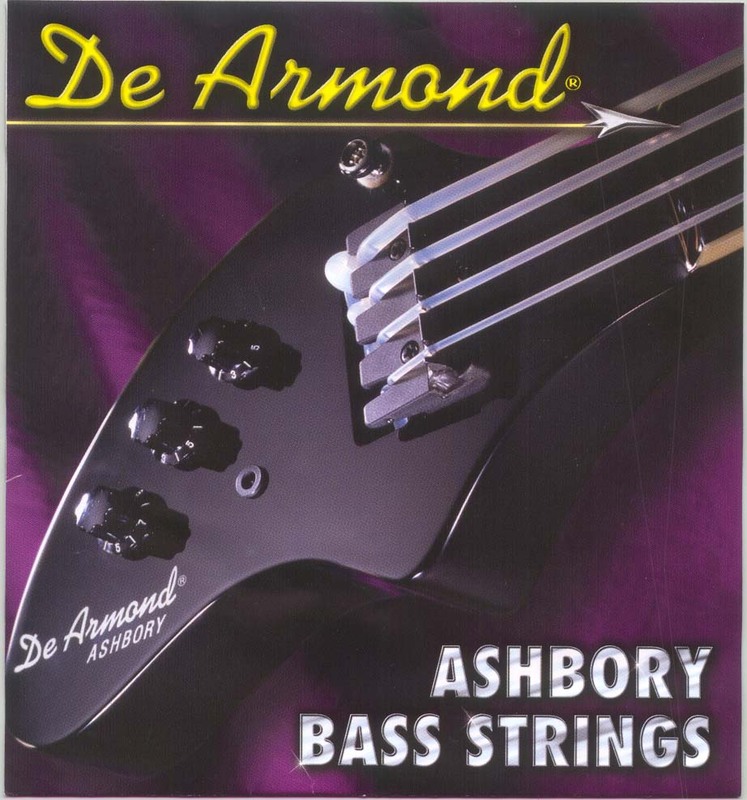 Between this and the fact the pictures appear identical between the packaging basses other than the logos, it's a reasonably safe assumption the new logo was digitally edited onto the old DeArmond shot for the newer packaging.